As well as being head of state of the small principality of Monaco, Albert (reigned 1889-1922) was a pioneering oceanographer, conducted important research in this field in the Mediterranean and North Atlantic between 1885 and 1915, and built an oceanographical museum. His interests also covered human paleontology and technology. This latter interest would account for his surprisingly early inquiry about the Lumière Cinématographe, for at the end of January 1896, only a month after the Grand Café première, the Prince wrote to his scientific collaborator Dr Jules Richard asking him to find out more about the machine. Richard went to the Paris show and wrote back that the picture was impressively realistic, though he also noted an annoying flicker. They soon discovered that the Cinématographe was not yet for sale, and spent the next year trying to obtain other machines, enquiring in London and from Eugène Pirou, but eventually obtaining a Gaumont apparatus in the summer of 1897 with which the Prince took five films in Morocco. Some of his films and cameras are preserved at the Museum océanographique de Monaco. Another pioneering use of cinema that took place in Monaco was the world's first ever film competition. This was organised in 1897 by the Societé des Bains de Mer of the Monte Carlo Casino, and took place as one part of a photographic competition. Press claims that this was initiated by the Prince as a way 'to encourage and develop this new art' may be exaggerated, but he at least approved of the scheme. There were three cash prizes and the overall winner, announced in March 1898, was Clément-Maurice with his film, Monaco vivant par les appareils cinématographiques. 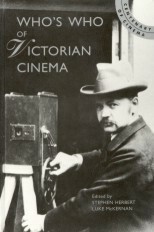 Serving on the jury was Léon Gaumont, and when a second competition was run in 1899, which was for films only, most of the winners made their films with a Gaumont camera. In this second edition there were eleven prizes totalling 30,000 Francs (almost ten times that of the first). It was intended for amateurs only, and each competitor had to send in at least three films, not previously exhibited, which were judged on the basis of 'originality, artistic merit and photographic quality'. The prizes were given out in February 1900 by the Prince, the first one going to Dr. Eugène-Louis Doyen, for his surgical film, Operation du Dr Doyen: Ablation du Goitre. Prize winning films from the Monaco competition were shown in the Monaco pavilion at the Paris Exposition of 1900; these included views of gymnastic exercises and of M. Camille Blanc's stallion in its paddock.